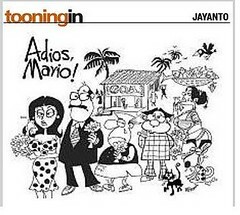 The passing away of the legendary Illustrated Weekly of India, Economic Times and Femina cartoonist and illustrator Mario Miranda in Goa on Sunday, has prompted plenty of warm reminiscences from friends, colleagues and co-linesmen, along with a vicious doosra. What can I say about Mario? That he was one of India’s most distinctive cartoonists? That he was arguably an even better serious artist in the detail and spirit with which he captured the places he lived in and visited? That he, along with Frank Simoes, gave Goa to the world? That he was to the magazines of The Times of India what R.K. Laxman was to the daily paper? And, dare I say it, that Laxman was the Lata Mangeshkar who subtly ensured that the pedestal was not for sharing? He worked on his cartoon strips mostly at home in Colaba and was awful with deadlines. This was largely because every afternoon, or almost, he would go for lunch or a long walk and would end up in a movie hall, all by himself. There was no movie he didn’t see. It was the idea of slipping into a dark theatre and watching the moving picture that excited him. 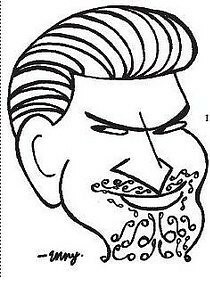 “Mario was the one and only ‘celebrity’ Indian cartoonist. He endorsed a reputed clothing brand in TV & print commercials in the 1980s. In 1979, Basu Chatterjee, director of the Hindi film Baaton Baaton Mein, based the looks of the hero, a reel-life cartoonist played by Amol Palekar, on Mario. One can see his house in Shyam Benegal’s film Trikaal. Benegal shot the film in and around Mario’s house in Goa, a heritage building known for its Portuguese past and architecture. And no one can forget the iconic visual of a Sardarji sitting inside a bulb with books, which has graced Khushwant Singh’s column in almost every Indian newspaper for many years. “We grew up in a time when all things worthy of awe or admiration came in pairs – Tata-Birla, Ambassador-Fiat, Coke-Pepsi, and so on. In the world of cartooning, Laxman-Mario was such a pair. All my lines I have learnt from studying the two titans of those times. 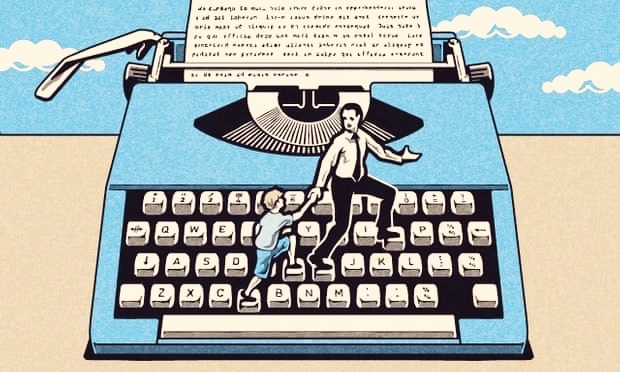 With Mario Miranda’s death, the country has lost an eye that looked at it with understanding, compassion and irony for many decades and saw what was most often unseen and lost to most of us…. Everything was grist to his mocking eye and subtle lines—politics, society, business, attitudes, fashions and all that was part of life. His world was peopled with things and characters everyone recognised and lived with. The world he created out of them became the obverse one familiar to us and helped us to look at our own world with greater comprehension. Back in the ’60s, for me, Mario Miranda was ‘God’! I would lie in bed, incapacitated by asthma – wondering where my next breath would come from – and live in the make believe world of Mario’s cartoons. There was this little book titled ‘Goa with Love’ in which he had drawn cartoons of village life in Goa. The book would be by my bedside and it was as if I knew each of those characters on a first name basis…. My greatest regret in life will be not having ever met the ‘God’ of my schooldays. May his noble soul rest in peace! Also read: Has R.K. Laxman drawn his last cartoon? Look who inspired R.K. Laxman‘s common man!